DRB-HICOM (MYX: 1619) Berhad is one of Malaysia's leading corporations, involved in the automotive manufacturing, assembly and distribution industry through its involvement in the passenger car and four wheel drive vehicle market segment, the national truck project and the national motorcycle project. DRB-HICOM assembles cars in Malaysia for TATA Motors, Iveco, MAN SE, Honda, Isuzu, Suzuki, Mercedes-Benz and Volkswagen, with plans for expansion. Besides automotive concerns, the group's core business focuses are in the services and property & infrastructure sectors. HICOM was incorporated on 11 March 1910 under The Companies Enactment 1897 as The New Serendah Rubber Company Limited. The company’s name was changed to The New Serendah Rubber Company Berhad on 15 April 1966. Subsequently, on 16 December 1993 it changed its name to HICOM Holdings Berhad pursuant to a restructuring exercise. 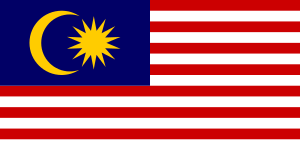 It was incorporated in 1980 as the The Heavy Industries Corporation of Malaysia Berhad (HICOM). It experienced rapid growth and in 1996 merged with Diversified Resources Berhad (DRB) to form the biggest conglomerate in Malaysia. HICOM Automotive Manufacturers Malaysia Sdn Bhd (formerly known as Automotive Manufacturers (Malaysia) Sdn Bhd)- assemblies of Volkswagen Passenger Vehicle, Suzuki Passenger Vehicle and DEFTECH military vehicle. ↑ Tan, Danny (12 March 2012). "BREAKING: CKD Volkswagen Passat 1.8 TSI available now for RM170,888, same spec as CBU model". Selangor, Malaysia: Paul Tan’s Automotive News. Retrieved 26 July 2012. ↑ hd (12 March 2012). "VW startet Fahrzeugproduktion in Malaysia" [VW starts vehicle production in Malaysia] (in German). Auto News. Retrieved 26 July 2012. ↑ "Expansionspläne von VW in Malaysia werden konkreter" [VW's plans for expansion in Malaysia win concreteness]. Automobilwoche (in German). Oberpfaffenhofen: Crain Communications GmbH. 19 July 2012. Retrieved 21 July 2012.